Deals in Heavy Construction Equipments on Monthly basis. Regd. 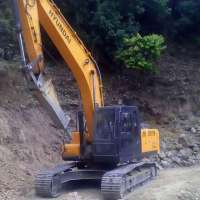 Office: Dehradun, Uttarakhand Products: Excavators, Poclain, Rock Breaker, JCB, Tippers, Transit Mixture Etc. Our Fleet is diverse and our Equipment operated by D.D. Associates staff includes: Excavators of top renowned companies like CAT, Hyundai, Tata, L&T Komatsu, and JCB 3DX, Tata Dump Trucks and many more.